¿You want to know what it feels like to live near the sea? 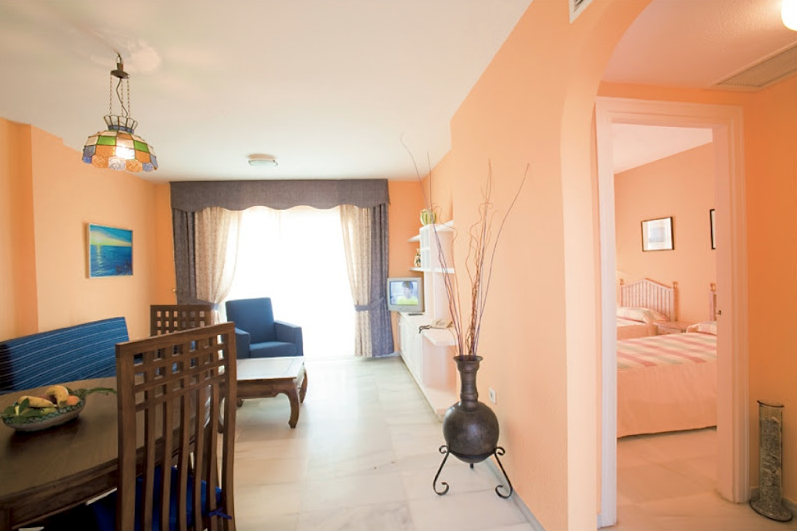 The Apartamentos Fenix Beach are located in the Playa Serena, just 300 meters from the beach. It is located in a quiet area ideal for a relaxing family holiday, or go to play golf, because it is located next to the golf course Playa Serena. They have a total of 120 apartments distributed in 6 blocks and three swimming pools (one for children with slide, a heated and outdoor), cafeteria, pool bar and, depending on season, residents can enjoy restaurant buffet. It has two conference rooms to hold all kinds of meetings and conventions or weddings and communions. 2 bedroom apartment, one with double bed and one with two beds and living room with sofa bed. Spacious, great for a family or friends vacation. One bedroom apartment with 2 beds and living room with sofa bed. In the apartments you can enjoy everything you need for your family vacation with the comforts and services of a hotel and the independence of “their” apartment.